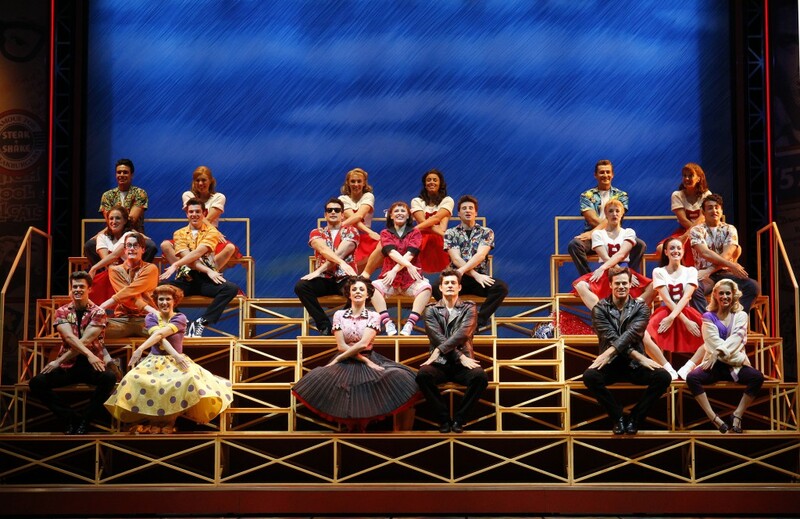 So, Grease the musical is playing in Perth at the moment, at the Crown Theatre! And I was lucky enough to attend the opening night! 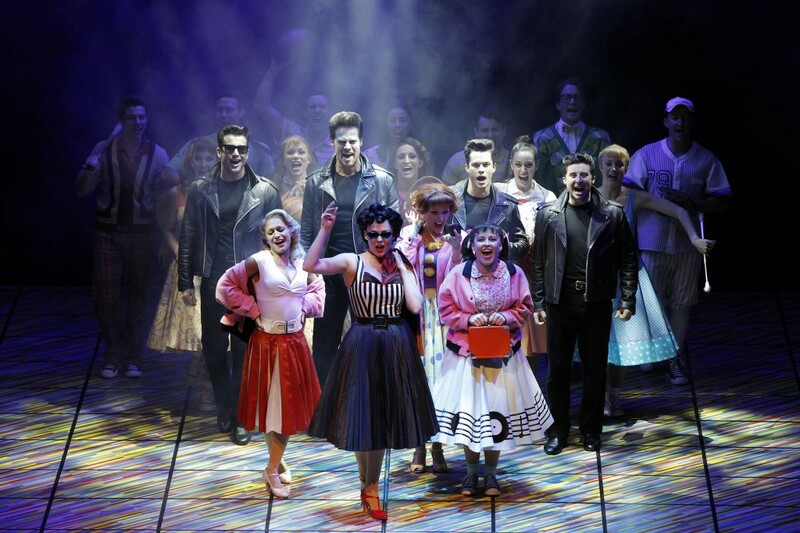 As a Mum of two little ones its not that often I get to head out to a show, and especially something like Grease that has been a favourite of mine since my childhood, even though the movie came out before I was born!! I cannot even tell you how many times I have watched the movie, and like a true dag, I also watched Grease 2 a lot, and know the words to all of those songs. Yes, I know, it doesn't even compare to the first, but, like I said I was a pretty big Grease fan! As you can imagine I was pretty excited to go, and I had pretty high expectations! My Mum and I found our seats, and proceeded to wait for the show to start. Moments before the lights went down, a very strange fellow found his seat next to mine. He gave the impression of being homeless, I don't know if he was or not, but with his matted hair, dirty clothes and fingerless gloves, and incomprehensible mumbling it just seemed that way. But, the thing that really got to me was he TOTALLY STUNK! Like, one of the worse smells ever. I kept thinking it was a mix between B.O, cigarette smoke and off milk. He kept mumbling strange things, and although he seemed nice enough, it was really off putting!! I spent the whole show trying to breathe non-stinky air, by leaning as far away from him as I could! BUT, apart from this strange fellow, the show was AMAZING!!! Of course it isn't an exact replica of the movie, and I was intrigued to see all the differences and how they would pull it all off. But, they did, it was clever, funny and entertaining and so much fun! One of those musicals that makes you want to jump out of your seat and dance and sing along! There are a few musical scores that aren't in the movie, and the T.Birds get their own songs which are pretty great! I won't give away too much, just know that you are in for a really fun night out, and you wont want it to end! I have to say that Eli Cooper who played Eugene, was so, so funny! It was hard to take my eyes off of him when he was on the stage, his dance moves and whole character was just so good! 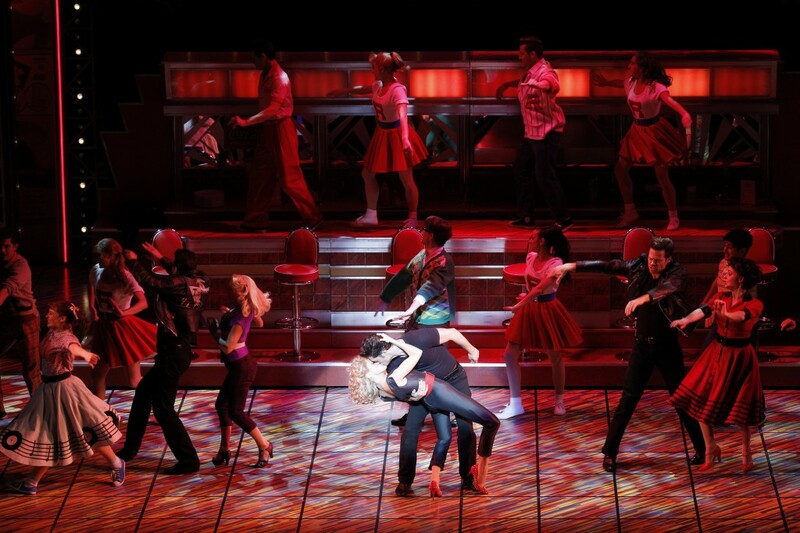 I loved Rob Mills as Danny, and his Travolta style 'cool laugh' was almost spot on! He was pretty impressive! 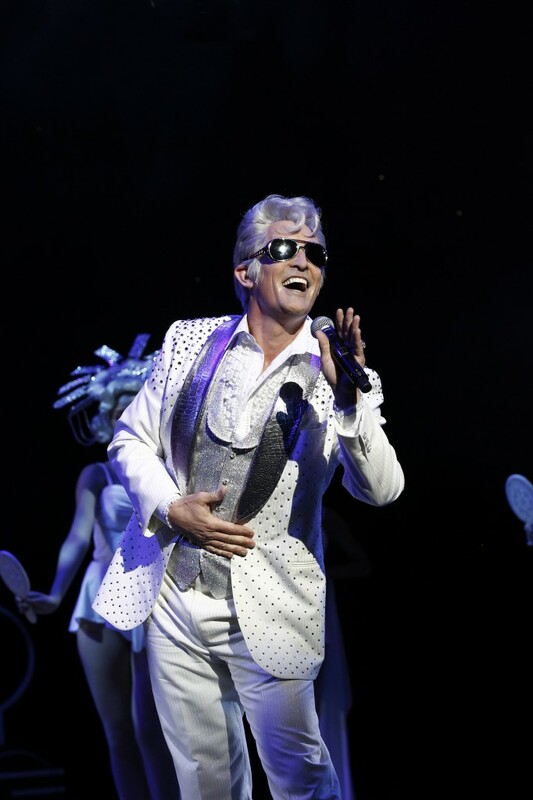 Todd McKenney stole the show as Teen Angel. It seems like such a small and obscure part for someone so fantastic, but he made it his own and the crowd LOVED it!! There was lots of cheering and interaction, he is just such an incredible showman no matter the part! Kirby Burgess as Rizzo was another stand out performance for me. Stockard Channing's are some pretty massive shoes to fill! But, she did sooo well! Really they all were fantastic, you can just see how much hard work has gone into it, and I love that Australia has so much young talent in this musical! I thought having Bert Newton as Vince Fontaine was kind of odd, seeing that in the movie he is totally hitting on Marty at the dance! But, I'm glad they didn't really add that in too much to the story, ewww! The whole cast was really incredible, and it is definitely worth going to check out the show!! I'd love to go again, minus the stench!! It is playing in Perth until 27th July!! So still plenty of time to get TICKETS HERE! 2 comments on "Grease is the time, is the place, is the motion and is The Musical in Perth"
Oh my gosh, Karen! I would not have been able to sit next to that guy. No way, no how. I would have gone and complained or just left or SOMETHING! I think i have the most sensitive nose in the world (as well as ears, but you know that). Bummer about that. How you managed to focus and give such a great review, well, I give you mad props! I had a hard time at the Lion King because it was so damn warm in there. I was burning up. Oh, smells... thats a pity! Glad you could enjoy it still though!